According to the prime minister, success in developing solar energy 'will change the face of India. It would also enable India to help change the destinies of people around the world. The plan intends to go beyond government to draw upon these assets'. India's plan to build 'solar cities' evolved from the prime minister's mission to build a 'green India'. India, where most regions enjoy nearly 300 sunny days a year, is an ideal market for solar power companies. However, the high cost of light-to-electricity conversion -- at Rs 12 to Rs 20 per kWh (kilowatt-hour) -- has acted as a deterrent so far. The whole world is greatly concerned about tremendous increase in demand of energy and consequent depletion of convention energy sources like wood, coal oil etc. "At the present rate of energy consumption, the reserve of fossil fuels of the entire world can be exhausted in 50 to 100 years," said Dr. M. N. Nahar, principal scientist of the Division of Agriculture and Energy at the Central Arid Zone Research Institute (CAZRI). "There is an urgent need to harness solar energy and other alternative energy sources." India receives about 300 clear sunny days in a year. This is equal to over 5,000 trillion kWh/year, which is far more than the total energy consumption of the country in a year The daily average solar energy incident over India varies from 4-7 kWh/m2, depending upon location. Solar Photo Voltaic systems have found applications in households, agriculture, telecommunications, defense, and railways among others. In the last two decades, the cost of PV has gone down by more than 10 times, increasing accessibility for dispersed rural applications. Costs are expected to reduce further thus creating more potential About 62 MW aggregate capacity (about 10,50,000 individual PV systems and power plants) have been installed for various applications. In addition, PV products of 48 MW capacity have been exported. Lighting systems, stand-alone power plants and other specialized systems, implemented mainly through SNAs/departments/corporations, Aditya solar shops operated by Manufacturers Associations and NGOs. Water-pumping systems for agriculture and related uses, implemented through IREDA and SNAs West Bengal, Rajasthan, hilly regions of Uttar Pradesh, Ladakh, Lakshadweep, Andaman and Nicobar Islands are prominent regions where SPV home lighting systems and power plants are in demand. About 3600 remote villages and hamlets have been electrified with SPV systems and power plants. Out of these 800 remote villages have been electrified during 2001-02 and 2002-03. Eleven power plants of 250 kWp aggregate capacity have been installed in Sagar Islands in West Bengal Aims and Targets. 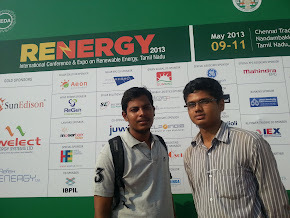 A wide range of power technologies exist which can make use of the solar energy reaching Earth. Indian government announced recently that it was planning to develop solar cities to reduce about 10 per cent usage of conventional energy sources through renewable energy installations and energy efficiency. During the 11th Plan period, a total of 60 cities are proposed to be developed as solar cities, based on a model already practised in New York in the United States, Tokyo in Japan, and London in Britain. India too targets a 10 to 20 per cent carbon emission reduction in the next 10 to 20 years. Under the government's solar city scheme, each of the 60 urban local governments would be provided a total of Rs 50 lakh (Rs 5 million) assistance of which Rs 10 lakh (Rs 1 million) would be for preparation of a master plan, Rs 10 lakh (Rs 1 million) for setting up a solar cell in the city council, Rs 10 lakh (Rs 1 million) for implementation of the plan over five years and the remaining Rs 20 lakh (Rs 2 million) for other promotional activities. A target of 50 MW has been set for solar power generation during the 11th Plan, which is likely to be achieved. India receives solar energy equivalent to over 5,000 trillion kilowatt hour per year. Solar energy systems, including street lights, garden lights, traffic lights, hoardings and solar water heaters will be installed in the city. 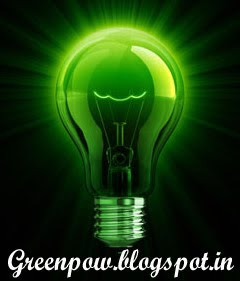 Energy efficient 'green buildings' will be promoted on a large scale. A photovoltaic cell produces electricity directly from solar energy. Direct solar power involves only one transformation into a usable form. For example: Sunlight hits a photovoltaic cell (also called a photoelectric cell) creating electricity. Hydroelectric power stations produce indirect solar power. The Itaipu Dam, Brazil /Paraguay Vegetation uses photosynthesis to convert solar energy to chemical energy, which can later be burned as fuel to generate electricity. Methane (natural gas) and hydrogen may be derived from the biofuel. Hydroelectric dams and wind turbines are powered by solar energy through its interaction with the Earth's atmosphere and the resulting weather phenomena. Ocean thermal energy production uses the thermal gradients that are present across ocean depths to generate power. These temperature differences are ultimately due to the energy of the sun. Solar technologies: Most solar energy used today is harnessed as heat or electricity. Solar design is the use of architectural features to replace the use of grid electricity and fossil fuels with the use of solar energy and decrease the energy needed in a home or building with insulation and efficient lighting and appliances. Insulating shutters for windows to be closed at night and on overcast days. These trap solar heat in the building. Fixed awnings positioned to create shade in the summer and exposure to the sun in the winter. Movable awnings to be repositioned seasonally. A well insulated and sealed building envelope. Active thermal solar panels using a heat transfer fluid (water or antifreeze solution). These are heated by the sun and the heat is carried away by circulation of the fluid for domestic hot water or building heating or other uses. for a heating circuit . The heat can also be used for industrial applications or as an energy input for other uses such as cooling equipment. Solar thermal cooling: There are some new applications of thermal hot water, such as air cooling, currently under development. The absorber machine works like a refrigerator. It uses hot water to compress a gas that, once expanded, will produce an endothermic reaction, which cools the air. Concentrated Solar Power (CSP) Plants: A concentrating solar power plant, Parabolic trough power plants are the most successful and cost-effective CSP system design at present. Solar chimney: A solar chimney is a relatively low tech solar thermal power plant where air passes under a very large agricultural glass house (between 2 and 30 km in diameter), is heated by the sun and channeled upwards towards a convection tower. It then rises naturally and is used to drive turbines, which generate electricity. Energy Tower: An Energy tower is an alternative proposal for the solar chimney. The "Energy Tower" is driven by spraying water at the top of the tower; evaporation of water causes a downdraft by cooling the air thereby increasing its density, driving wind turbines at the bottom of the tower. It requires a hot arid climate and large quantities of water, but it does not require a large glass house. Solar pond: A solar pond is a relatively low-tech, low cost approach to harvesting solar energy. The principle is to fill a pond with 3 layers of water. Solar chemical: Solar chemical refers to a number of possible processes that harness solar energy by absorbing sunlight in a chemical reaction in a way similar to photosynthesis in plants but without using living organisms. No practical process has yet emerged. Solar cooking: A solar box cooker traps the Sun's power in an insulated box; these have been successfully used for cooking, pasteurization and fruit canning. Solar cooking is helping many developing countries, both reducing the demands for local firewood and maintaining a cleaner environment for the cooks. The first known western solar oven is attributed to Horace de Saussure. Solar lighting: The interior of a building can be lit during daylight hours using fibre optic light pipes connected to a parabolic collector mounted on the roof. The manufacturer claims this gives a more natural interior light and can be used to reduce the energy demands of electric lighting. Good piece of information. Glad to know many things from this article. Great Post. it is amazing post. keep more like this article. thank you for the sharing.